Following on from my last blog post on Monday afternoon, Labour 2012 conference has continued to be one of the busiest and one of the best I have been to. 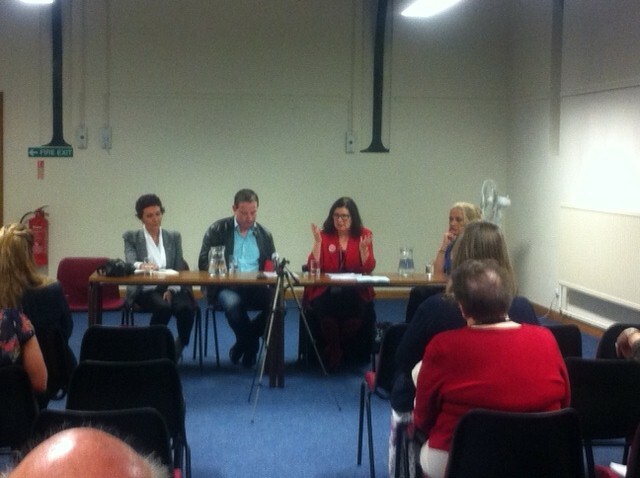 On Monday evening I took part in an event which looked at the impact of the LibDem/Tory policies on women. After much discussion, and anger at the unfairness of the Government’s policies, we all concluded that this Government’s failed economic plan has been particularly devastating for women. I spoke about the economic impact of the cuts on women. 65% of the public sector workforce is women, so the massive cuts made by the LibDem/Tory government to Councils and other public sector jobs has had an even more serious impact on them. Other members of the panel (which included Val Hudson, an active campaigner and fellow Durham resident) also raised excellent points about the negative impact Lib Dem/Tory policies are having on life opportunities for young women in particular. On Tuesday morning I took part in a roundtable session entitled ‘The Weight of the Nation: tackling obesity over the life course’. I focused on how we can educate children to encourage healthy eating habits to be formed from a young age. My Mum was a school cook so I a long standing interest in the important role that school food can play in educating young people about the importance of a balanced diet and nourishing children so that they learn effectively at school. This is why I was so pleased that Durham was a Universal Free School Meal pilot, the pilot was a huge success and the Government needs to look seriously at rolling this out across the country. Instead they have stopped it, once again leaving young children to bear the cost of their economic failure. Immediately after the roundtable session I rushed to Manchester Town Hall to join Gordon Marsden, Shadow Regional Growth Minister, and a number of council leaders and councillors for an event about apprenticeships and local government. With over one million young people unemployed across the UK, and the Government failing to tackle the issue the responsibility has fallen to Labour councils. The councils represented at the meeting are doing some outstanding work with employers in their areas to create opportunities for young people, but there is still some way to go. We need to encourage all councils to do whatever they can to ensure that all young people in their areas have opportunities for learning and employment. This will be struggle given the huge cuts imposed on local government by the Coalition, but it can be done. 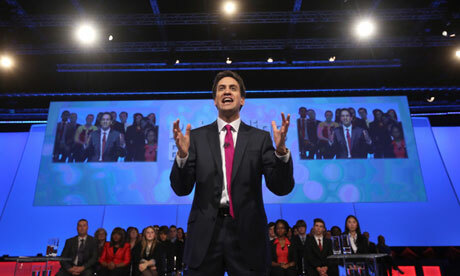 On Tuesday afternoon we all packed into the conference centre to hear Ed Miliband’s keynote speech. I thought that this was a triumph – as I have always known he has the qualities to be our next Prime Minister. The atmosphere in the hall was incredible and the audience clearly agreed that with his message about tackling banks and other companies that rip off ordinary people is exactly the kind of actions we need. Ed set out a vision for a One Nation Britain. One in which the NHS would be protected and the damaging privatisation reversed, banks and companies playing their part in our society and those with the broadest shoulder carrying the heaviest burden.